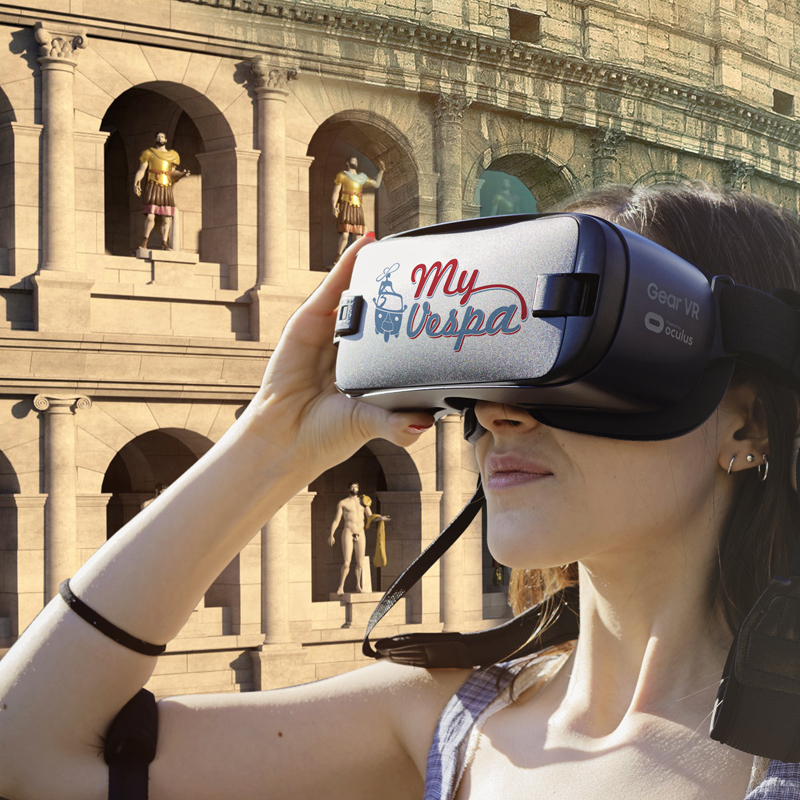 The Panoramic Views tour is the best way to visit Rome! Itís smart, quick, easy. 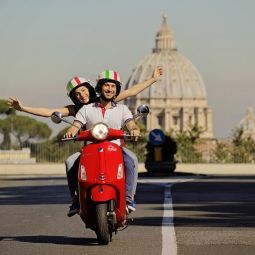 It allows to stop and take a snapshoot, to pass in the narrow and caratheristic streets of the old city, and moreover you can feel the emotion of a timeless ride on an incredible vehicle: Vespa! It is modern and advanced, updated to the actual standard of efficiency and safety, but it still aesthetically appealing like it was 70 years ago. 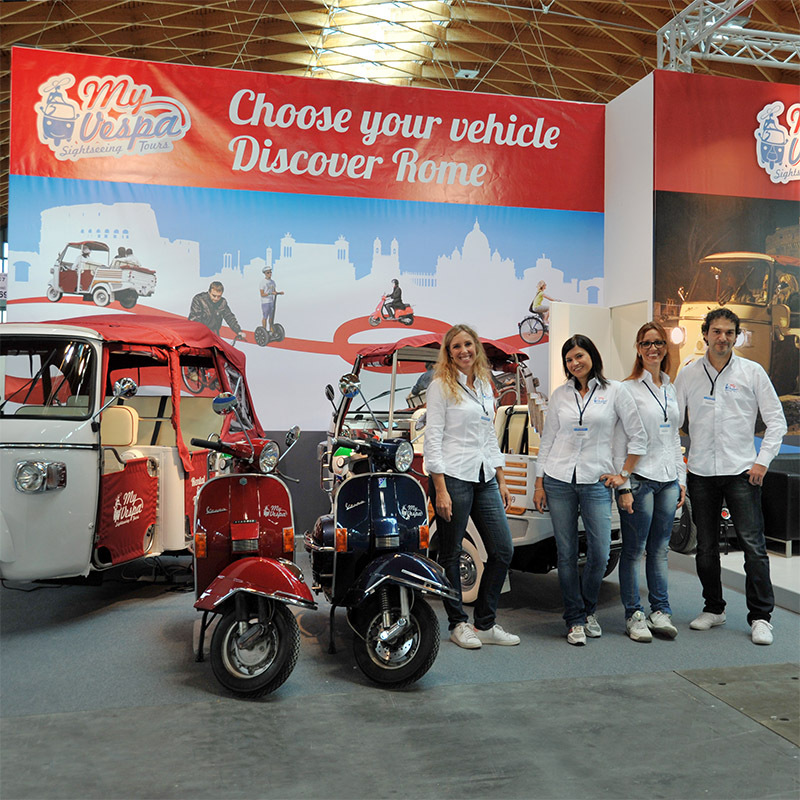 Vespa is linked to the city of Rome by a film tradition and the ìdolce vitaî style that made it a popular and universally appreciated pop icon. Everyone can join the tour: who has driving experience and wants to drive, alone or with a passenger, can follow our multilingual and expert staff. On the other hand, who has less experience or prefers to enjoy the ride, can seat, relax and let our trained drivers think the rest. The tour starts from one of the famous seven hills of ancient Roman history, the Esquilino, the most vivid and colorful, meltin-pot of cultures, modern gate of Rome, and continues through a well-studied path, to discover the wonders of the Eternal City and its breath-taking panoramas. 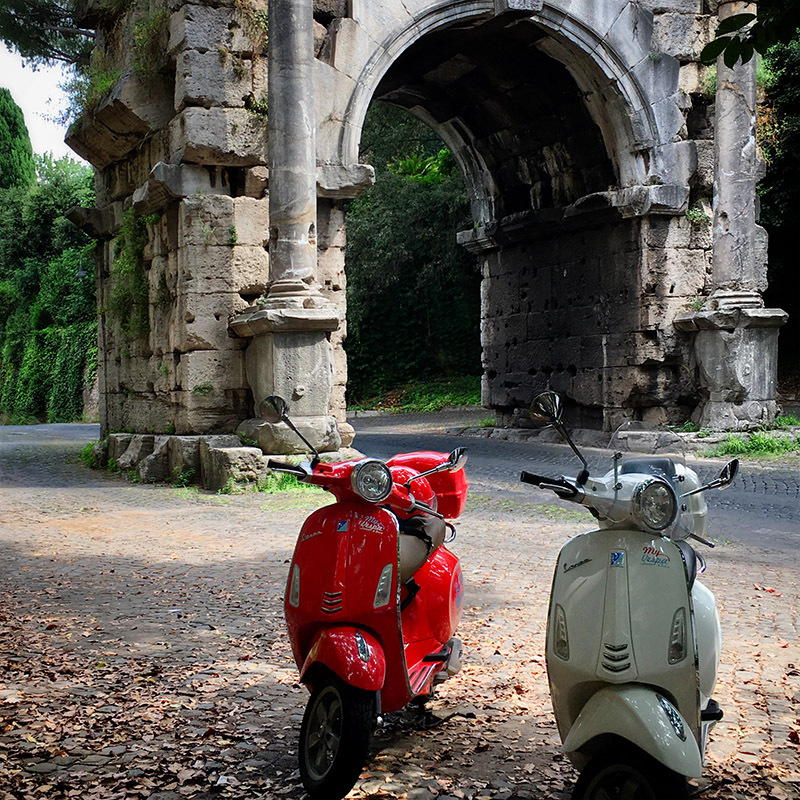 This tour is an experience full of emotions and surprises that can be done at any season: every period of the year is good for discovering Rome and its unique colours. You need 3 hours, but time is a detail when you are lost in the beauty of the city.